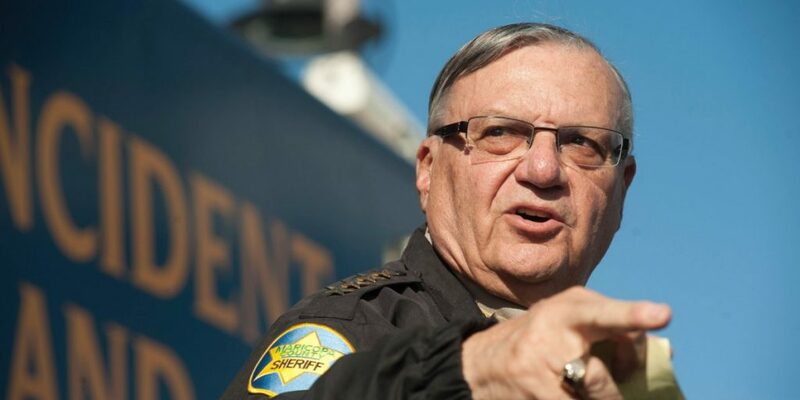 Sheriff Joe Arpaio is the man. If he and Sheriff Clarke could run the streets of America with their methods of what it means to protect and serve, America would be a lot better for it. In fact, there are many Sheriffs that would be a much better option as President then the nutcase Hillary is right now. She’s awful. Sheriff Arpaio is in some hot water right now as Prosecutors announced last Tuesday that they are going to move forward in charging the Sheriff with criminal contempt-of-court for so-called defying the judge’s orders. …but those orders were for the Sheriff to put an end to his immigration patrols in Arizona. Yes, you read that right. Because the Sheriff conducted immigration patrols in Arizona to help protect his community from drug lords, rapists and criminals from another land, he now faces jail time because of the liberals in power. Sheriff Arpaio has received this news just as Election Day approaches as he is running for his seventh term for Maricopa County Sheriff. 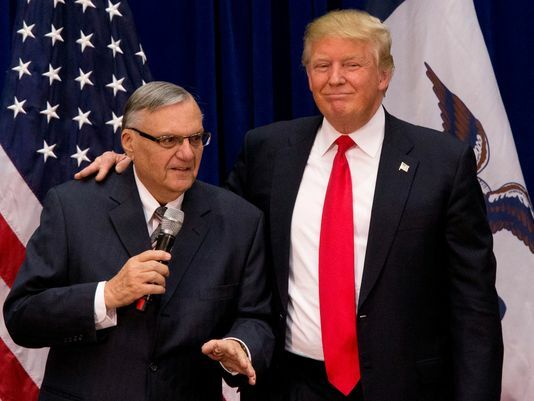 As many of you are well aware, the good Sheriff is a supporter of our Republican presidential nominee, Donald Trump, and has on several occasions spoken for him at events. Now he’s facing jail time for doing his job in trying to enforce immigration law? What about this makes any sense to you? It doesn’t and this is one of the reasons Obama’s America is most dangerous. There is no solace for the citizens who are upstanding and doing their best to uphold the laws of this country. That’s not even the biggest shock. Previously in Arpaio’s earlier court visits there was a judge not too long ago that even recommended criminal charges. Now Arpaio faces up to 6 months of jail if he is convicted of the misdemeanor contempt. Jail? That’s where bad guys go. Bad guys that Arpaio has taken off the streets with his officers to keep them safer for us. Now his own people want to lock him up? This is a brutal example of what Obama has done to our country. Our police are now criminals and criminals are now victims. As for heroes? Well, under Obama’s reign they are the douchebags you see kneeling during the National Anthem, disrespecting the REAL heroes of this country. Everything has gone to crap. Meanwhile Obama sits pretty in the White House patting himself on the back for a job well done. Locking up Arpaio is going to be the finger that pulls the trigger. Arpaio lawyer Mel McDonald said the sheriff will not be arrested and no mugshot will be taken. He will plead not guilty by court filing and hopes to prevail before a jury. “We believe the sheriff, being an elected official, should be judged by his peers,” McDonald said. The Sheriff is a national political figure and hero to many Americans. This isn’t going to go over well at all with them if he gets locked up.